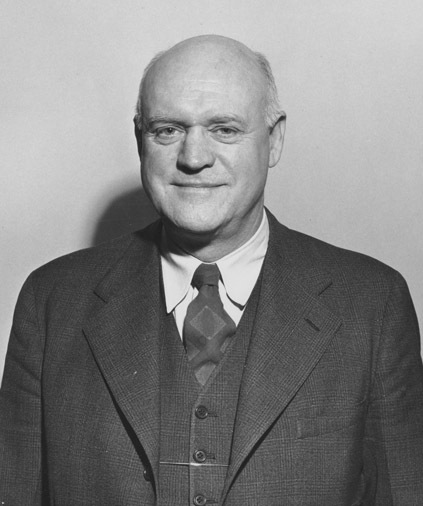 The position of Chancellor for the Amherst Campus was created in 1970, when the office of the University President was given oversight of the entire UMass system. The Chancellor is the chief administrative officer of the campus and is responsible for carrying out policies and procedures as established by the Board of Trustees and the University President. He or she coordinates the major administrative units of the campus, assumes responsibility for campus-wide strategic planning and, in particular, guides activities that involve different administrative units, including the budget, enrollment management, facilities planning, and some labor relations. The Chancellor’s records include information on the University budget (1908-2007), the administrative records of individual Chancellors, and records documenting the activities of the Chancellor’s Office. Since 1983, most Chancellors have issued the annual Chancellor’s Report, which addresses the state of the campus and special topics such as student needs, the future of the University, relationships with the Commonwealth, and budget issues. The papers of individual Chancellors are filed separately in UMarmot under the individual’s name. Access restrictions: Much of this record group is stored off-site and requires advance notice for retrieval. On November 29, 1864, the Board of Trustees for the Massachusetts Agricultural College created the Office of the President and elected Henry Flagg French as the first president of the newly created land grant institution. In 1970, the President’s office was relocated from the Amherst campus to separate offices in Boston, and the Office of Chancellor was established as the chief executive position at each of the five UMass campuses. The responsibilities of the President and of the central administrative staff are summarized in the University’s Governance Document of 1973: the president acts as the principal academic and executive officer of the University, presents policy recommendations to the Board of Trustees, keeps current a master plan of the University, prepares the annual budget, allocates the appropriated budget, appoints members of the faculty to tenure with the concurrence of the Board of Trustees, coordinates the work of all campuses of the University and promotes the general welfare of the University as a whole. Containing the papers of individual presidents of UMass (1864-2007) and their Presidential Reports (1948-1984), the record group also includes records of central administrative offices, including the Secretary of the University, the Treasurer’s Office (1864-2007), and the Donahue Institute for Governmental Services (1970-2007). Collections for individual Presidents are filed separately in UMarmot under the President’s name. Access restrictions: Access is restricted on some files of recent Presidents. Public relations efforts at UMass have shifted over the years from an early emphasis on education in agriculture and home economics to contemporary efforts to manage the torrent of information generated by a research university. The first news editor at UMass was not appointed until 1948, and as late as 1961, the entire central Public Relations staff consisted only of a news and publications editor, although the College of Agriculture hosted a separate staff of five. Since the 1960s, however, the public relations efforts have expanded as rapidly as the University as a whole. The position of Vice Chancellor for University Relations and Development was created in 1983, (called Vice Chancellor for University Advancement after 1993) to oversee public affairs, alumni relations, and development activities. This record group consists of materials from the several offices concerned with the production of University publications and publicity. The records include press releases, brochures, guidebooks, newsclippings, newsletters, bulletins, weekly newspapers, semi-monthly feature publications, special publications and photographic negatives. Also included in this group are the following publications: Chancellor’s Monthly Press Briefings, Chancellor’s Annual Review of NewsClips, Commonwealth Research Reports, Campus Guidebooks, University Newsletter, Weekly Bulletin, Executive Bulletin, University Bulletin, brochures, Contact, UMass, Science Journal, University Notebook, Tips, News Summary, and the Commonwealth Journal. Helping to fulfill its land grant mission, outreach at UMass Amherst engages the university with the community in economic, social, cultural, environmental, and educational issues. Outreach applies the teaching, research, and knowledge resources of the university with benefit to the public throughout the Commonwealth, nation, and world. The office operates a number of programs, including Continuing & Professional Education, the Extension and Arts Extension Service, the University Without Walls, and WFCR radio. The records of University Outreach document the initiatives originating with the Vice Chancellor for University Outreach. As a result of the evolution of responsibility for outreach activities, the records of individual programs may be located elsewhere in the archives. The Vice Chancellor for University Advancement oversees the campus’s Development and Alumni Relations areas and is responsible for operation of the UMass Amherst Foundation and of Advancement Communications, the group that produces the University’s website, UMass Amherst Magazine, and a variety of other print and online publications. Beginning in September 1983, the unit was administered by the Vice-Chancellor for University Relations and Development, which was renamed Vice Chancellor for University Advancement in 1993. 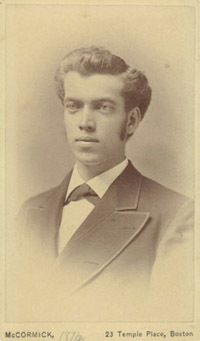 When Massachusetts Governor John A. Andrew incorporated the Board of Trustees for the Massachusetts Agricultural College in 1863, the fourteen members of the board were charged with creating a new agricultural college. Since that time, the Board of Trustees (including student trustees) had governed the University, meeting regularly to act on University-wide matters of policy, mission, finance, and campus maintenance. Governance responsibilities in some areas (e.g., tuition, academic program review and approval) are shared with the statewide Board of Higher Education. The Board of Trustees maintains a Chair and six standing committees: Executive, Administration and Finance, Academic and Student Affairs, Athletics, Audit, and External Affairs. The President and the Five College Chancellors administer board policy. The bulk of the Board of Trustees records consists of meeting minutes (1906-2007) and Trustee Documents (1963-2007), along with the papers of a small number of individual trustees and the records of the Trustees’ “Commission on the Future of the University of Massachusetts” (1988-1989), which resulted in the consolidation of the state’s five public university campuses under a single President and Board of Trustees. In partnership with the Board of Trustees, SCUA has digitized the complete minutes of the Board from chartering of the university in 1863 through 2004.